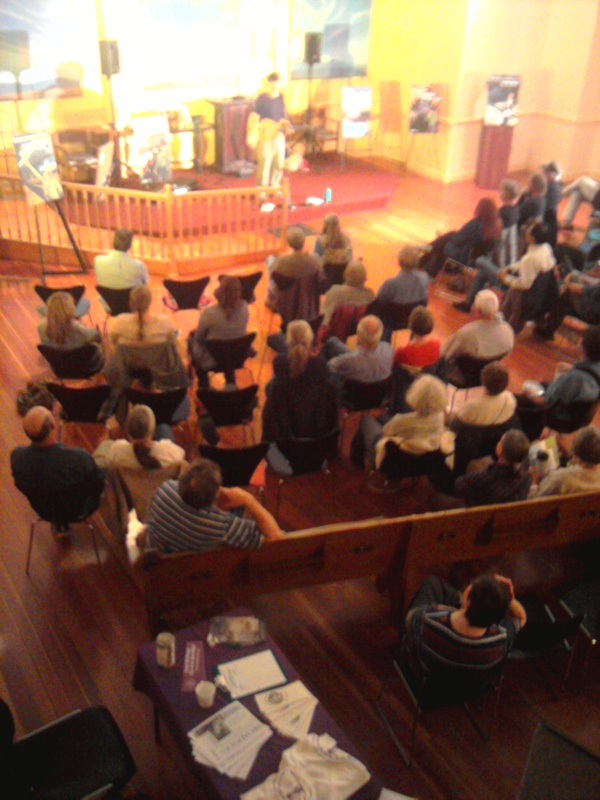 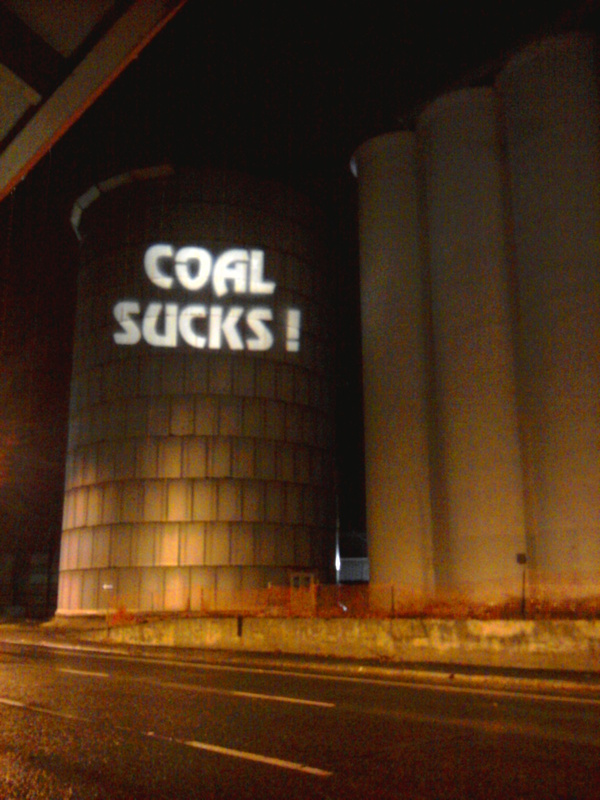 On Friday evening, October 19, performer and environmental educator Dana Lyons of Bellingham, Washington, brought his Great Coal Train Tour to Moscow. 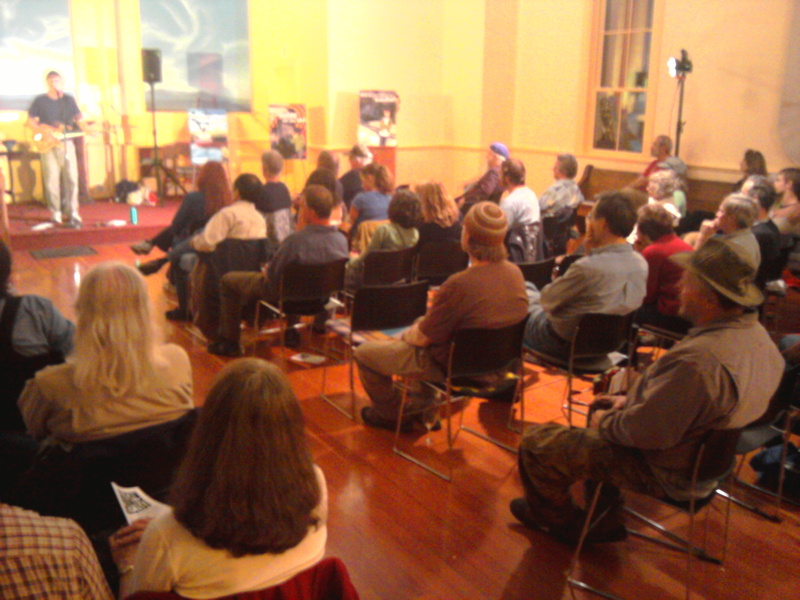 Best known for his comedy hit song Cows with Guns, Dana has recorded eight albums during his lifetime artistic career, working around the world to raise awareness, activism, and funds for environmental and social justice causes. 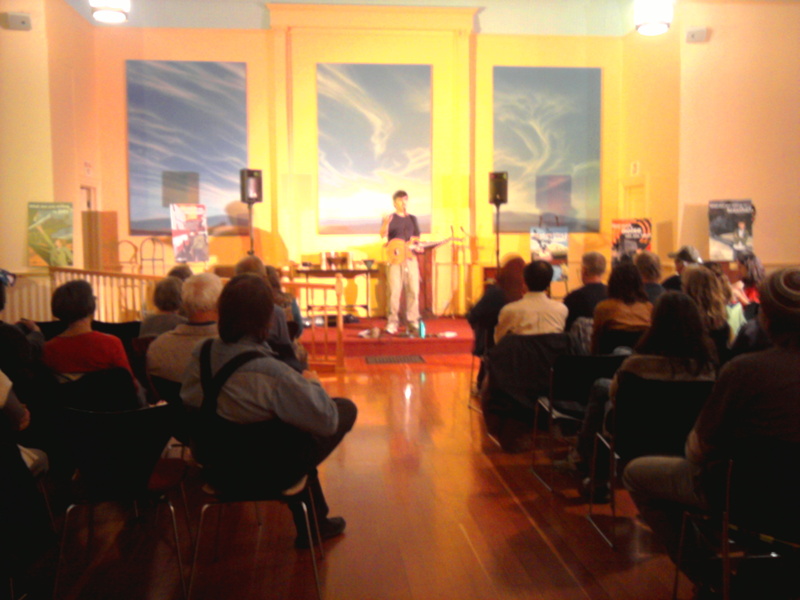 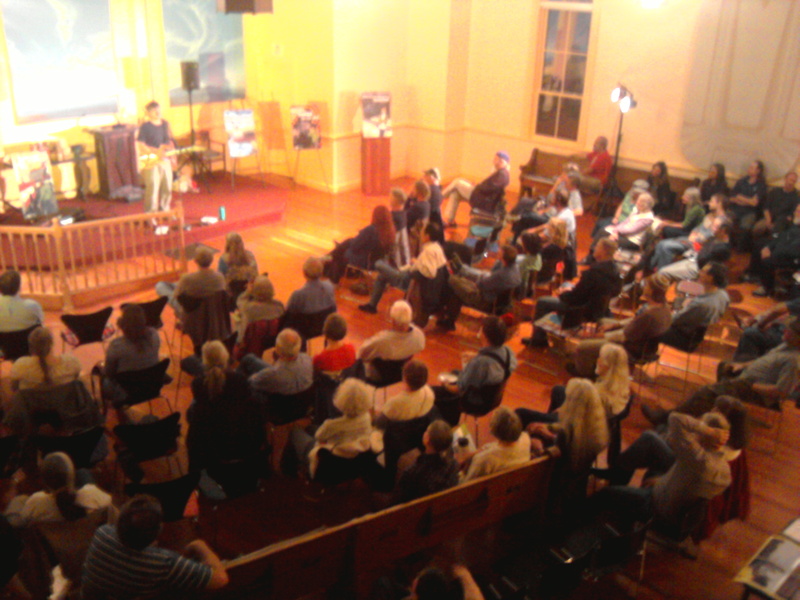 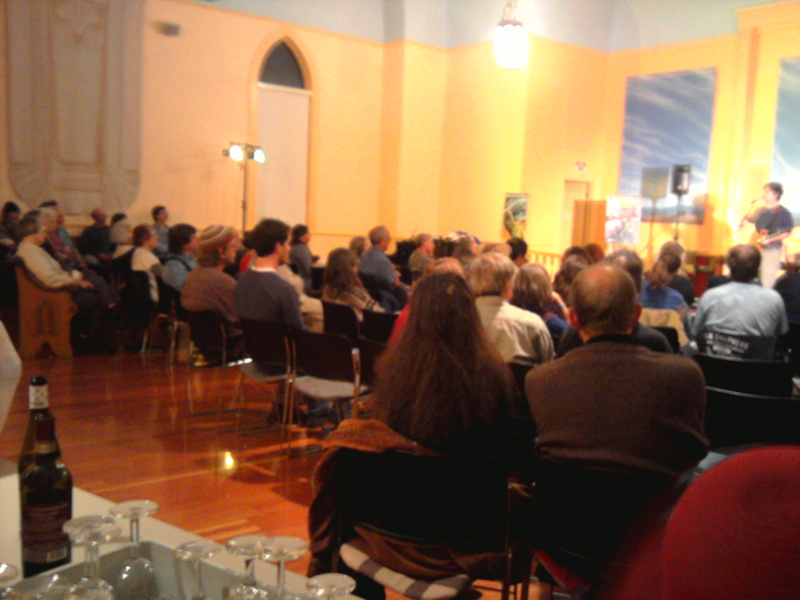 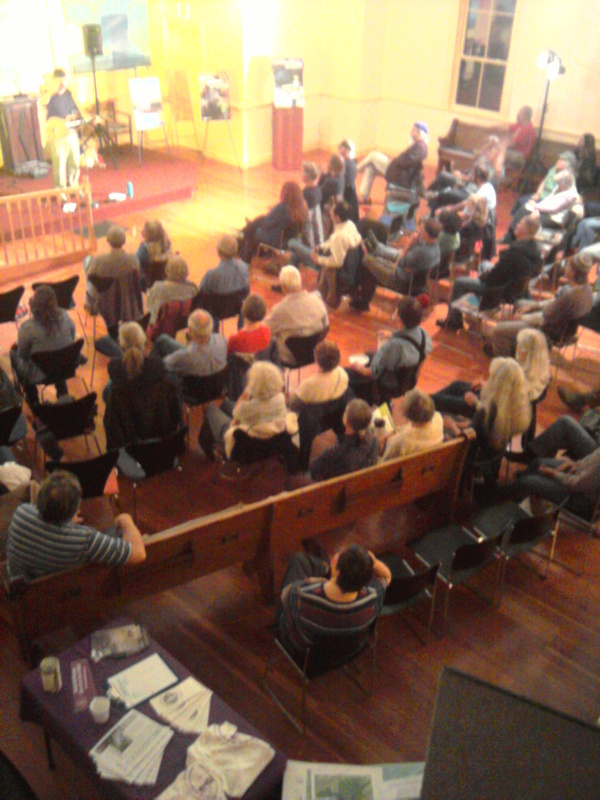 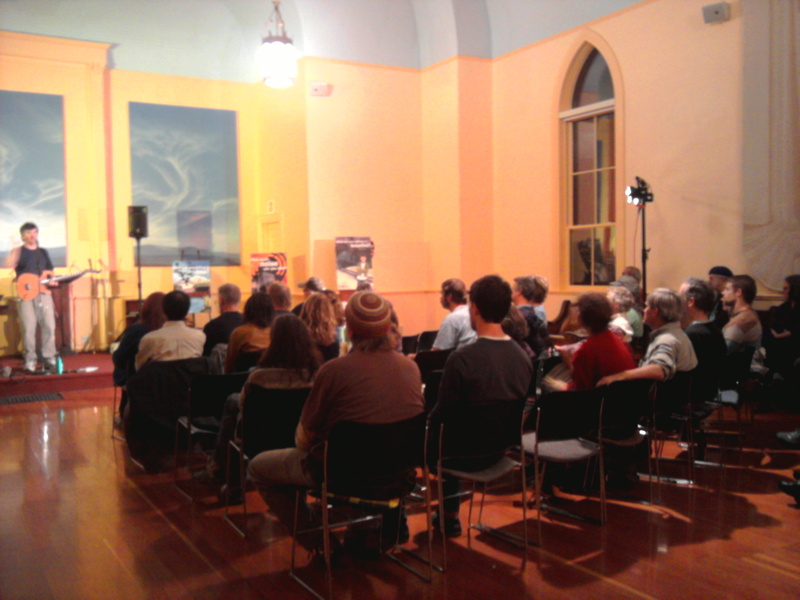 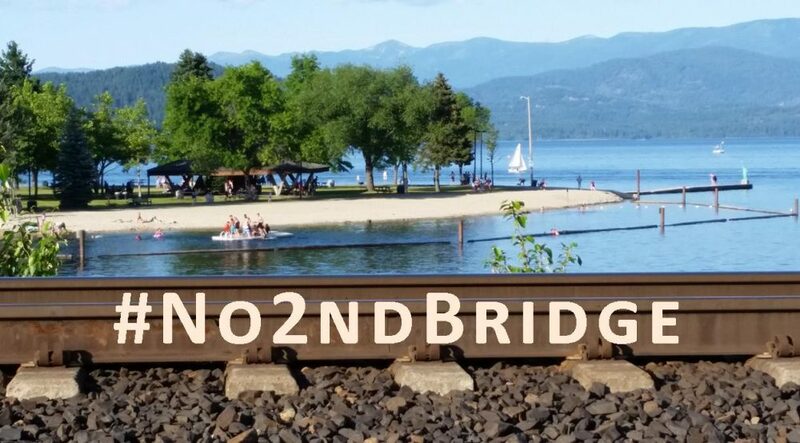 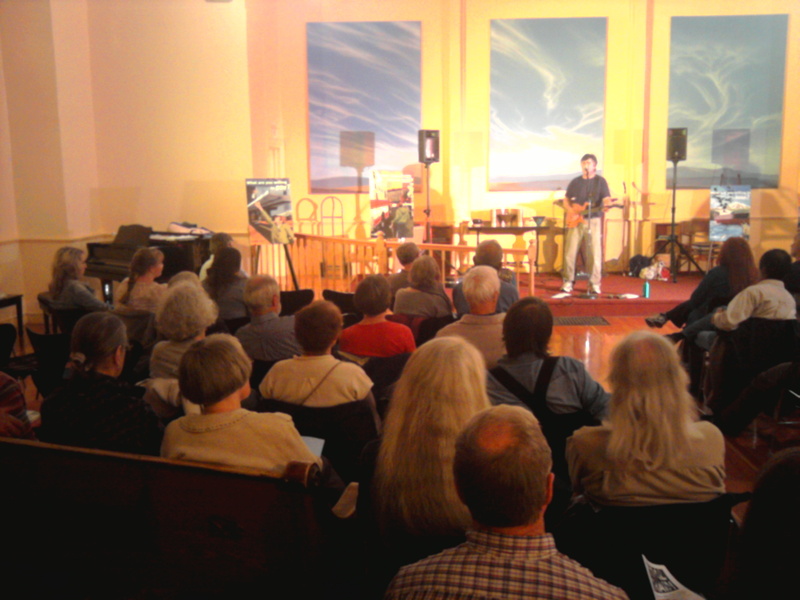 Visiting communities from Billings to Bellingham and from Portland to Coos Bay along the route of proposed coal export trains through four Northwestern states, Dana’s fun and inspiring concert intermingled stories of resistance to associated mines, trains, and ports, gathered from potentially impacted groups like eastern Montana ranchers, Lummi Indians, and Puget Sound residents. 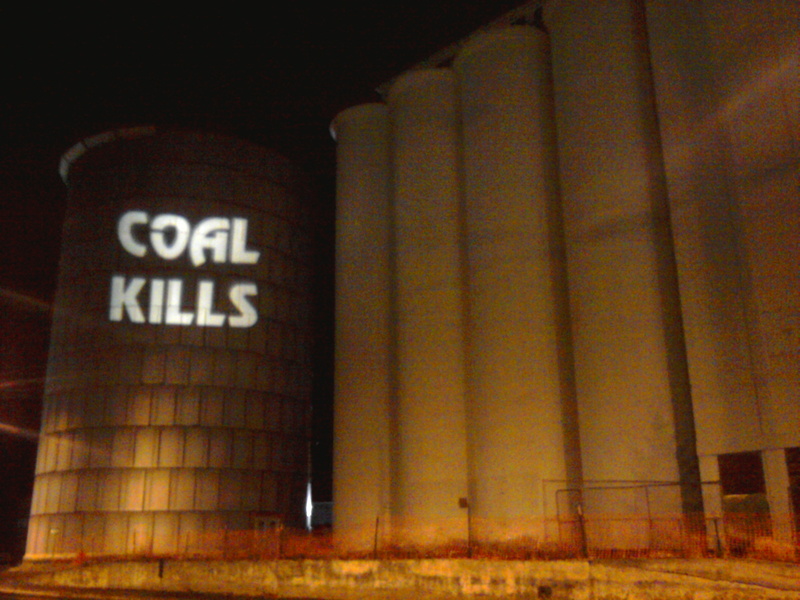 While federal, state, and county agencies accept public scoping comments on the largest prospective coal export facility in North America, five local conservation organizations hosted this benefit event to bolster knowledge and participation in this significant regional and global issue. 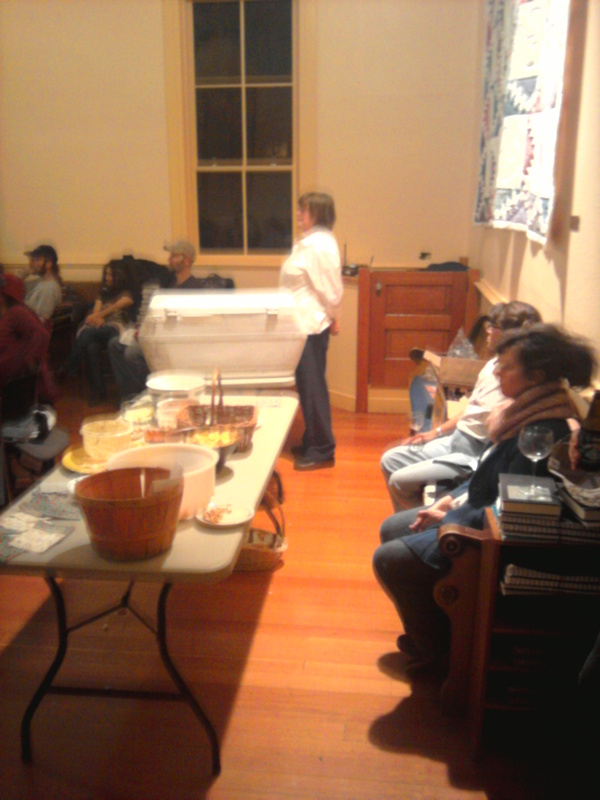 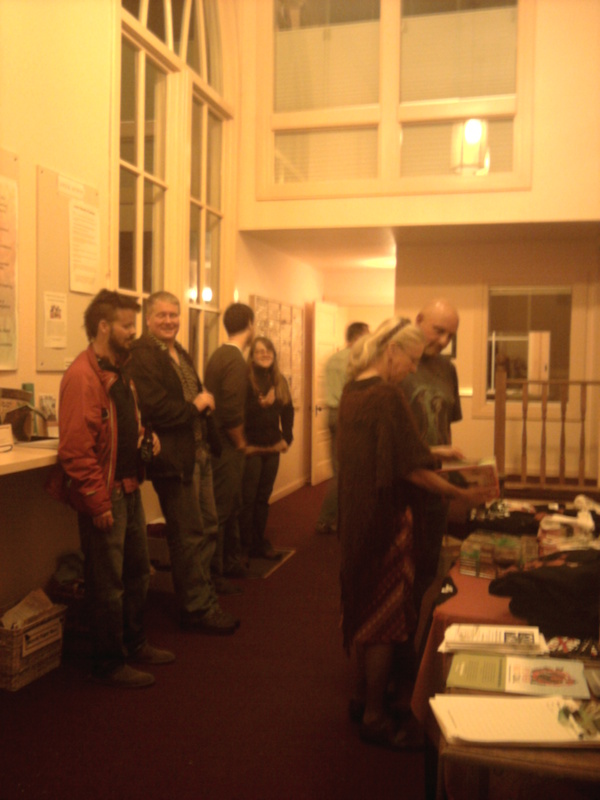 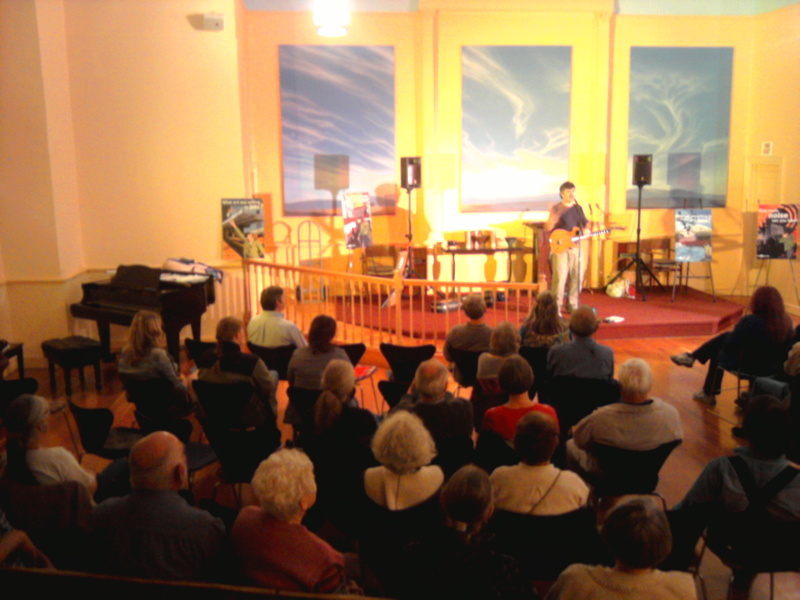 Wild Idaho Rising Tide, the Palouse Group of the Sierra Club, Friends of the Clearwater, Palouse Environmental Sustainability Coalition, and the Palouse Broadband of Great Old Broads for Wilderness offered appetizers and no-host beer and wine for almost 100 attendees at the Unitarian Universalist Church of the Palouse. 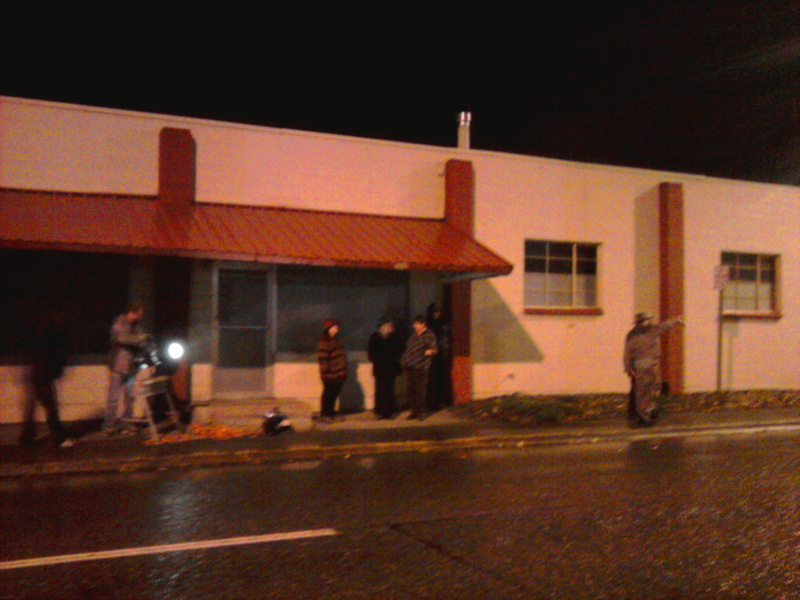 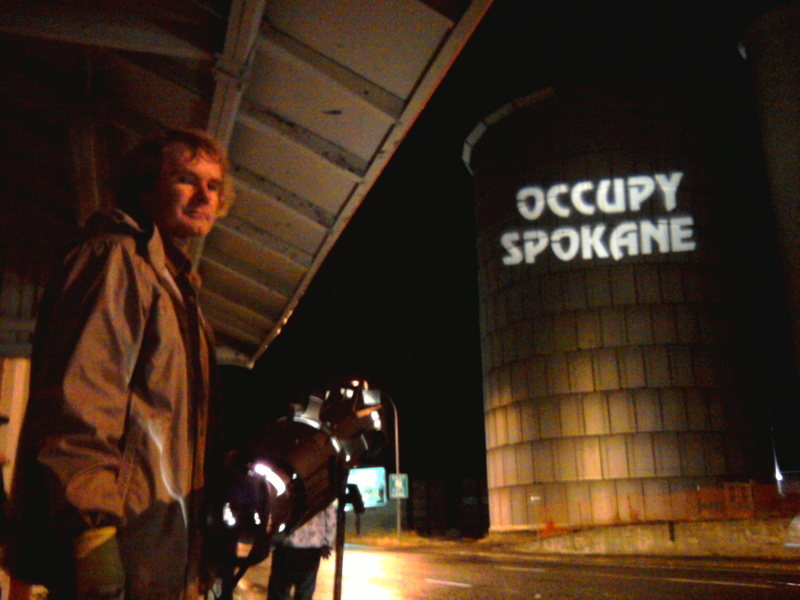 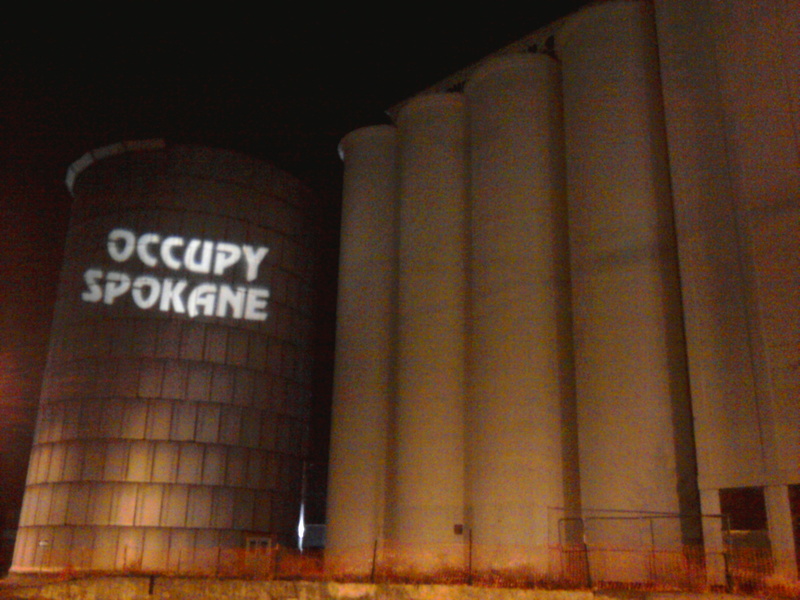 After the show, visiting Occupy Spokane activists and Wild Idaho Rising Tide members staged a light projection action near the Sixth and Jackson street intersection in Moscow. 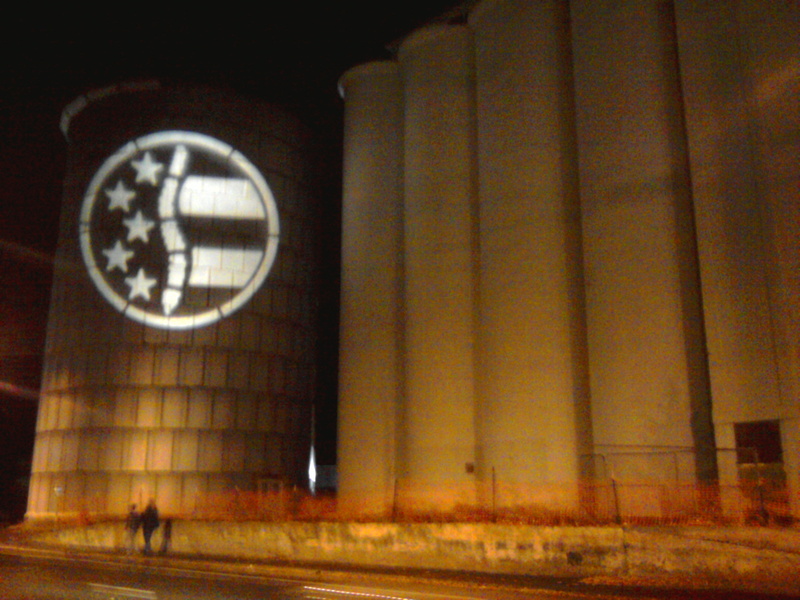 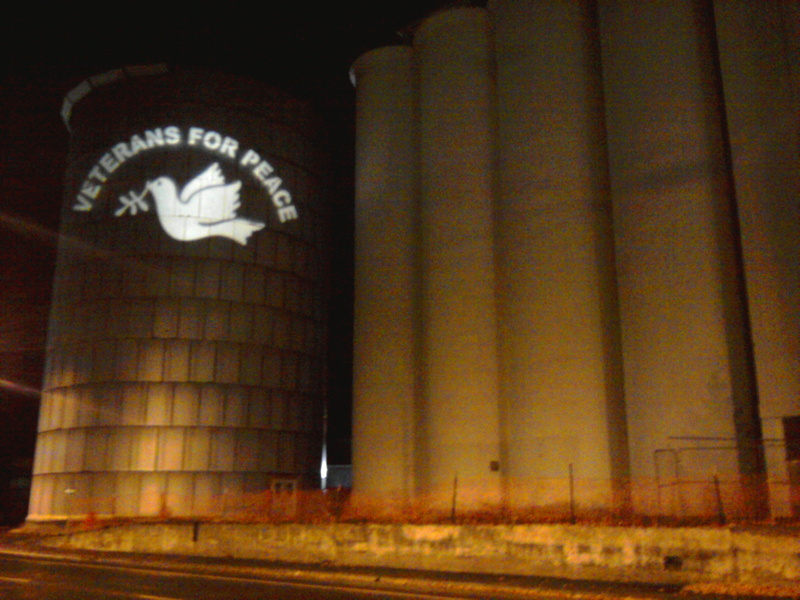 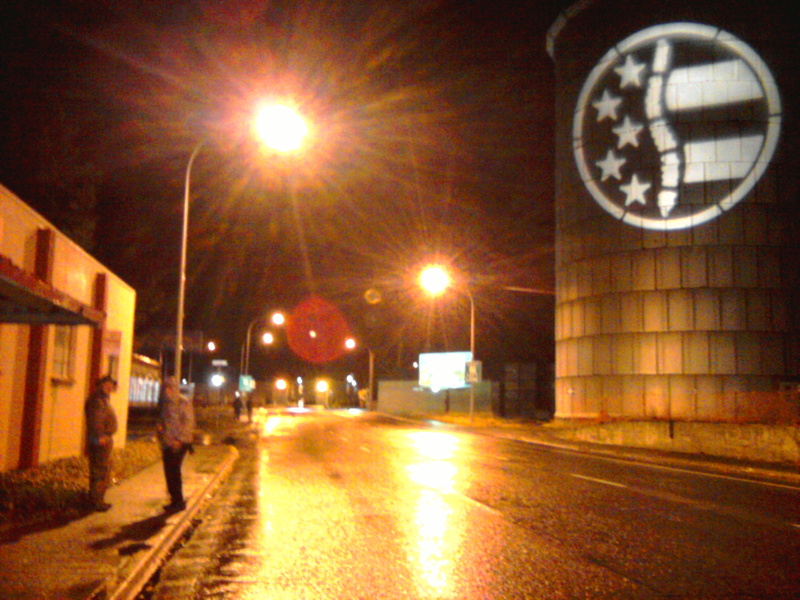 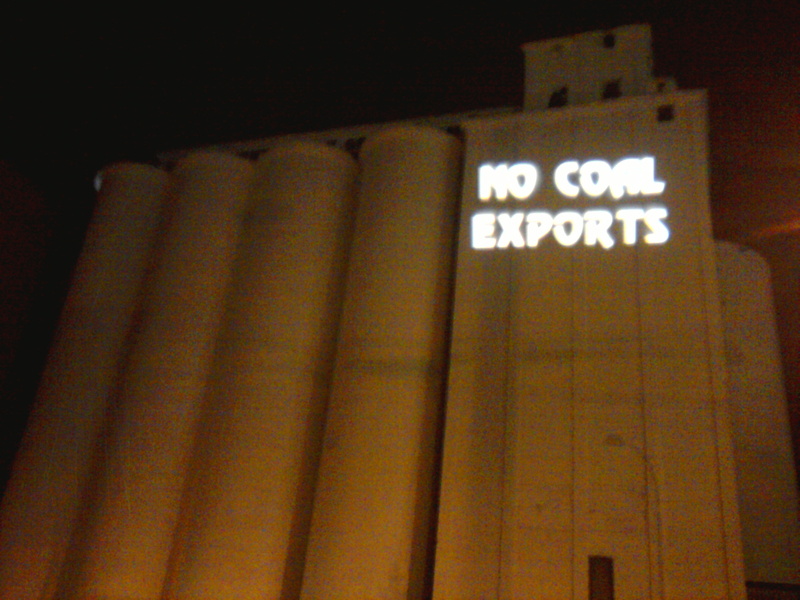 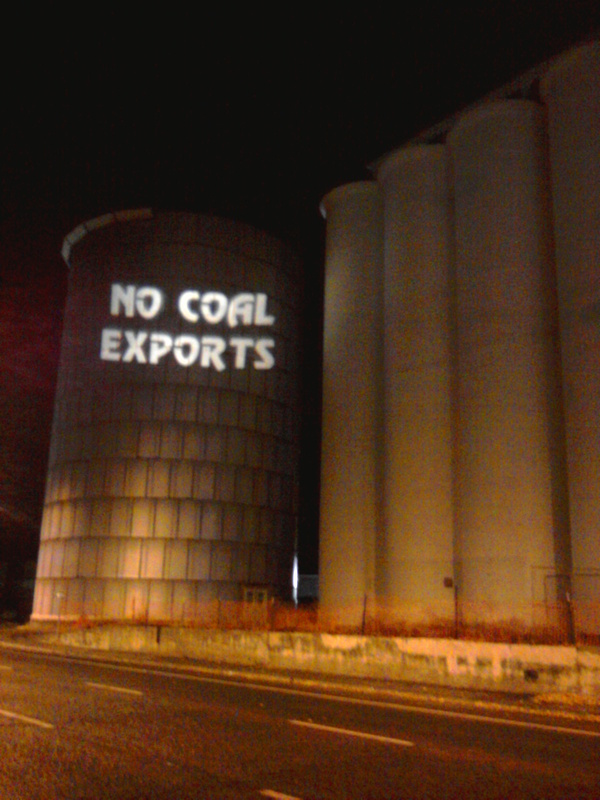 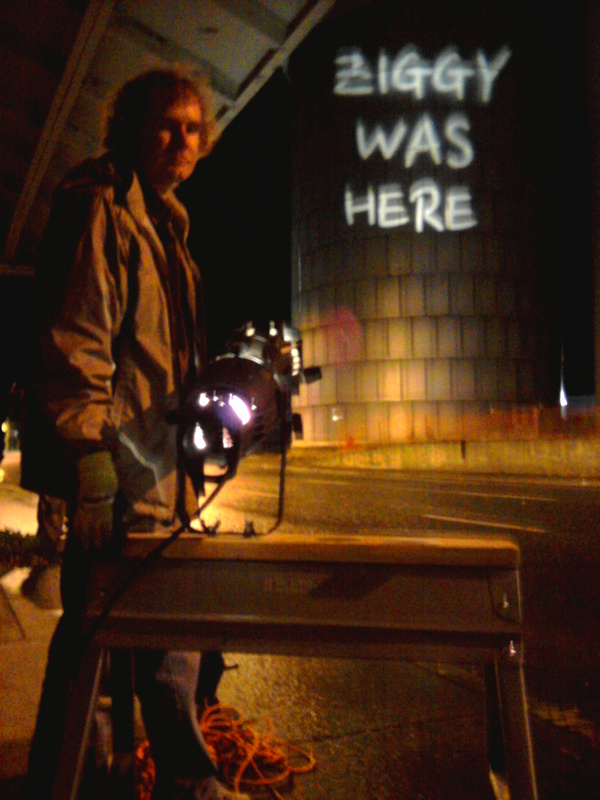 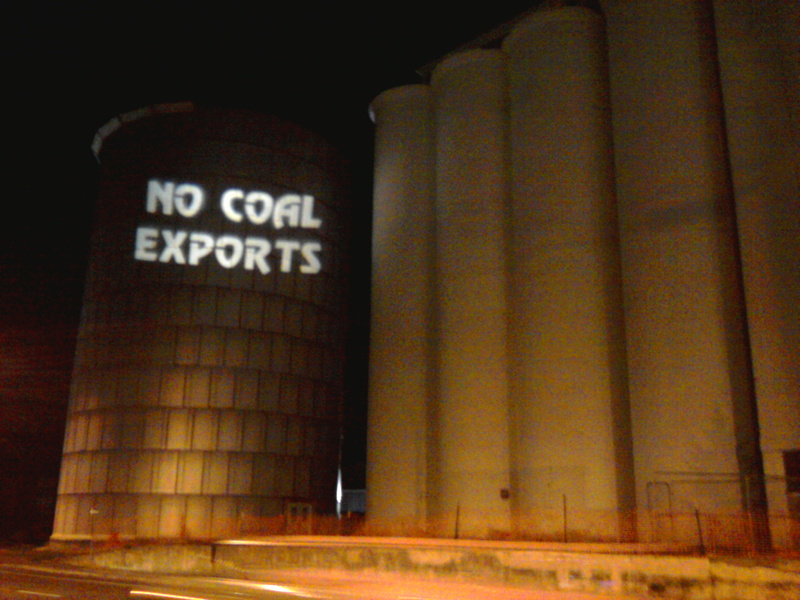 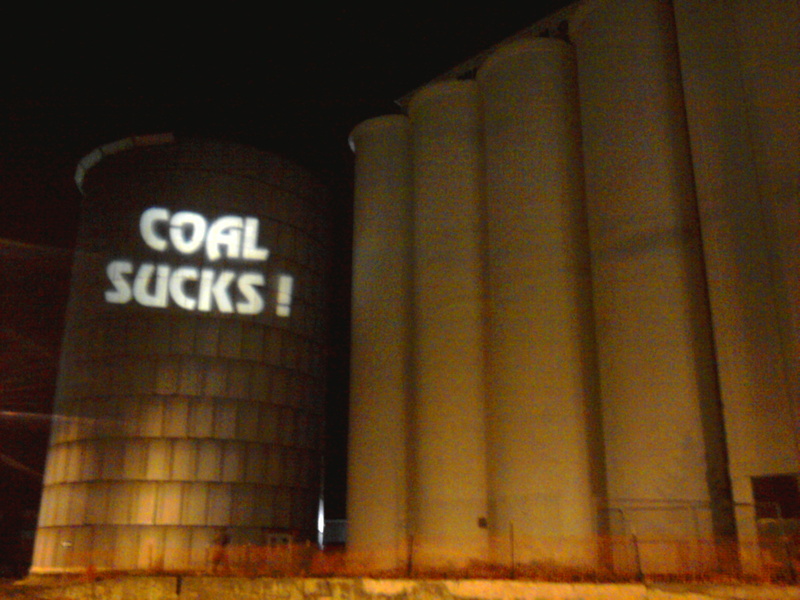 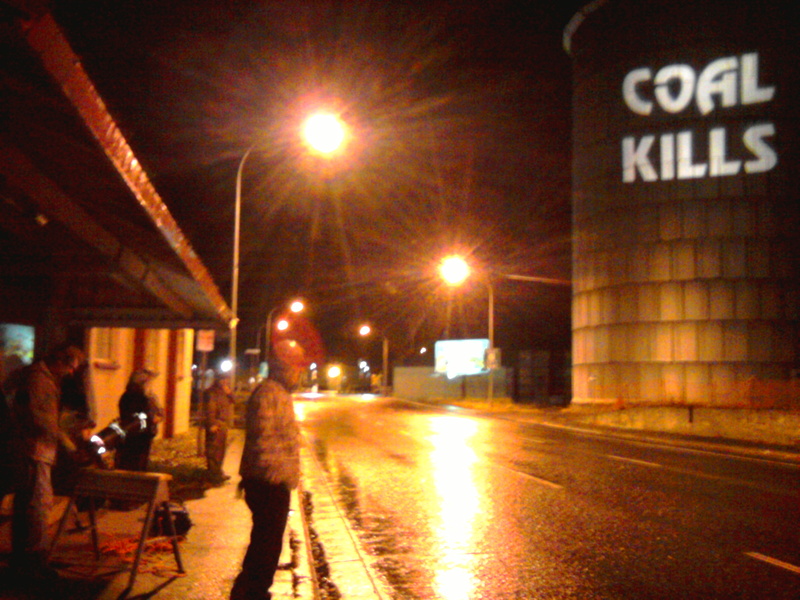 Illuminating some recently repainted crop silos with messages denouncing Northwest coal exports and proclaiming various group affiliations, Ziggy and his comrades huddled under an awning in the rain, as passing motorists and pedestrians marveled at huge spotlighted campaign slogans and logos.